Don't Have A Christmas Tree? 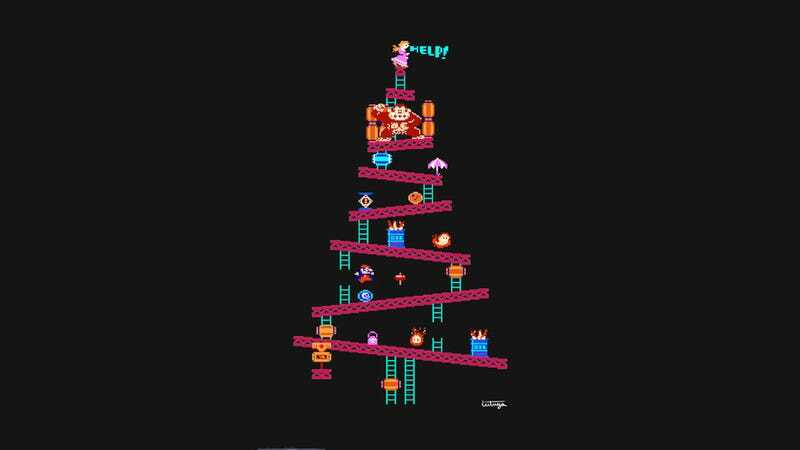 Hang This Donkey Kong One Up On Your Wall. It's like a Christmas tree, but cooler. Designed by Carlos Leituga, this tree takes the original, arcade Donkey Kong game and morphs it a little. I never realized how perfect that level is for a tree until now.